The invention of the radio commercial came at 5pm August 28, 1922. The Queensboro Corporation, a small business in New York City, purchased time on radio station WEAF for $50 to advertise its apartment complex development in Jackson Heights, Queens. Radio advertising came to Fayetteville, North Carolina in 1939 when Wall Christian Ewing and Harry Layman put WFNC on the air. Ever since then, Cumberland and Robeson County small business owners have depended on radio advertising to market their goods and service. Is radio advertising effective in the 21st Century? Meet five North Carolina small business owners who say yes. “Ed, who served as my mentor for the first few years, had been a huge in yellow pages and newspaper advertising,” says Mr. Quigg. “He feared that if we quit advertising 4 days a week in the newspaper, then the world would end. 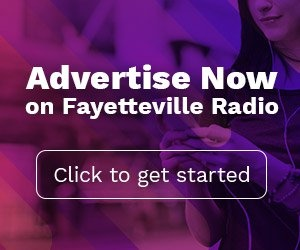 As his advertising strategy began to show positive results, Mr. Quigg stopped newspaper advertising all together and started adding more Fayetteville radio stations into his mix. Ms. Parker knew to increase sales in her stor es she would need to reach beyond Kimbrell’s core customers. “To grow in Fayetteville, we would need to branch out to include Hispanic customers, cash customers, good credit customers. Also, with Ft. Bragg right here, we needed to reach out into the military community. Using local radio was the best way to pinpoint those new customers. 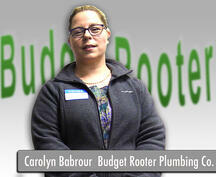 Carolyn and Tony Barbour are the owners of Budget Rooter, a Fayetteville based small business with a long list of commercial, residential, and industrial customers. “I can testify,” says Ms. Barbour, “our radio advertising has created lifetime customers for our company. In 2007, the economy took a downturn and many of Budget Rooter’s competitors began to fail. Not wishing to succumb to the same fate, the Barbours decided to expand their advertising efforts. “For the first several months, our radio helped us keep our nose above water,” says Ms. Barbour. “I promise you, it was advertising on Fayetteville radio that kept us afloat. 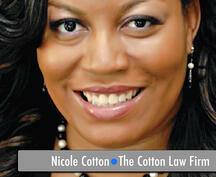 I used my radio advertising to build my personal brand,” recalls Ms. Cotton. “Based on the billings she generated from her current clients, her radio advertising, and her personal drive to succeed, Ms. Cotton was able to open her second office in Fayetteville a year later. After 18 years, Cape Fear Flooring still advertises on Fayetteville radio. 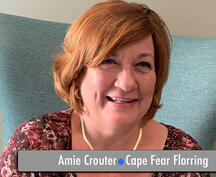 “Radio advertising has really driven our growth from the beginning,” says Ms. Crouter. “We have always asked new customers how they found out about us. Overwhelmingly, we are told they heard our radio commercials.